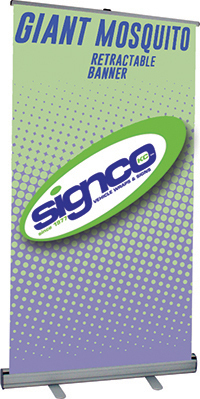 Signco Kansas City Large Retractable Banners are the perfect balance between price and quality. 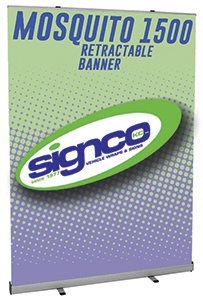 Large retractable banners are perfect for in-store displays, seasonal promotions, office informational signs, trade shows, and special events. The stylish Mosquito 1500 retractable banner stand provides a quality display solution for any budget. 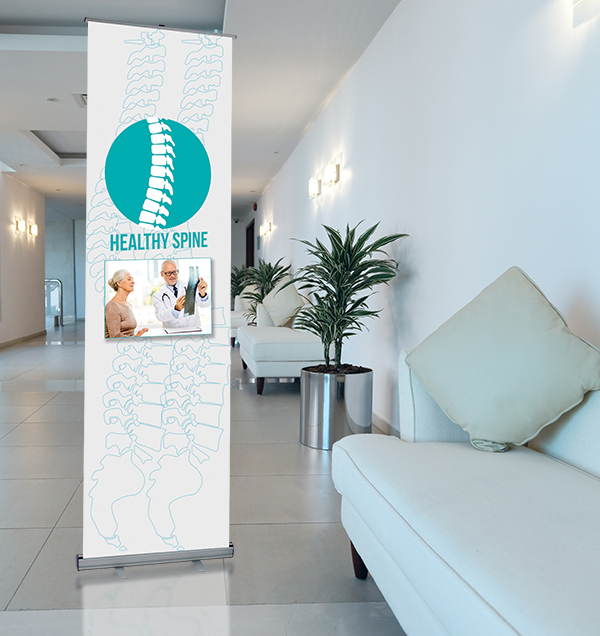 The economy banner stand is incredibly portable and versatile; with a width of 5ft. The Giant Mosquito retractable banner stand is an affordable banner display option that comes with unmatched versatility. A heavy duty aluminum base. The Giant Mosquito has a variety of height options, all the way up to 10ft.